Why we need printing a canon lbp 2900 test page? 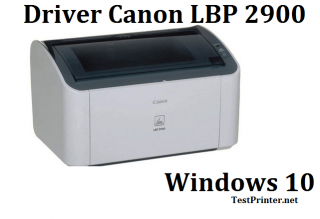 – Before using the Canon LBP 2900 printer the first time, you need to print a test page to know your Printer Canon LBP-2900 still work well. – If use again Canon LBP 2900 that you not used for a long time, Or when you have just repaired your printer. 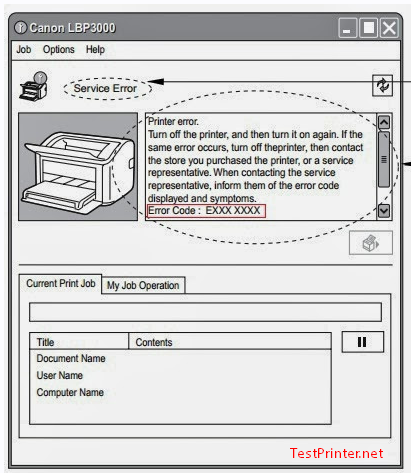 You also need to print test page to check the printing. This instruction using screenshots are taken from Windows XP, If you are using a other Windows Version, you can do it in a same ways. + Canon LBP 2900 on Windows XP: Select [Control Panel] from the [Start] menu, then click [Printers and Other Hardware] =>[Printers and Faxes]. + Canon LBP 2900 on Windows 7, windows 8: Press and Hold [Windows] key and press R to show Run box, then enter run box: Control Panel and press Enter to go to [Control Panel] Folder, then click to [Devices and Printers] to show your “Canon LBP 2900” printer icons. => Now, the [Printers and Faxes] or [Device and Printes] folder is displayed. After you click to Properties -> the [Properties] dialog box for the Canon LBP 2900 printer is displayed. 1. Click to [General] tab on the top tabs. 2. Click left mouse to [Print Test Page] button to start print canon lbp 2900 test page. Your Canon 2900 printer will begin printing a test page. – If the page prints correctly, click [OK] to complete print test page.